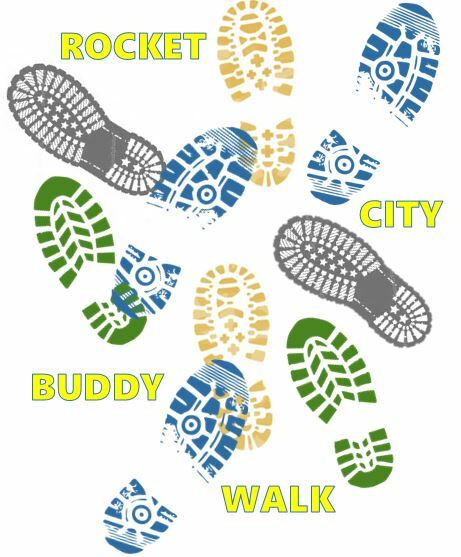 BUDS will be hosting our 17th annual Rocket City Buddy Walk on Saturday, September 28, 2019 from 12PM to 4PM at The Rock Church. The primary goal of our Buddy Walk is to promote acceptance and inclusion of people with Down syndrome. The funds raised at the walk will allow us to continue our efforts in supporting and educating families about Down syndrome. Our highly acclaimed Buddy Walk is open to the general public, but it really is like a family reunion for all of our special needs families. 1) Everyone present at the walk is invited to participate in a brief and leisure walk to show their support for all our little buddies. At the end of the finish line, all our special needs walkers and their siblings are awarded an Olympic Gold Medal for their accomplishment. 2) The walk also includes a Chinese Gift Auction with items generously donated by local businesses. Gifts in previous years have included items such as an autographed football from John Stallworth, highly-coveted tickets to Alabama vs. Auburn football games, an autographed photograph of Tim Tebow, family portrait sessions by professional photographers, gym memberships, gift certificates to local restaurants and movie theatres, and so much more! Anyone who donates an item, gift basket, gift certificate, etc. will be given a receipt since the donation is considered tax deductible! 3) Our inflatable bouncy houses and slides are kid favorites every year! Parents can rest assured knowing that supervision is provided by adult volunteers to ensure the safety of our little ones. 4) Entertainment includes music, dancing, and face painting! Our favorite DJ always wows the crowd with music from all genres, and dancing is highly possible and encouraged! A local artist also does her amazing magic with face painting for the kids. 5) Snow-cones, popcorn, ice cream, lunch, and drinks are all FREE! Local businesses typically donate pizza and cold drinks; and for all the youngsters, there is plenty of snow-cones, popcorn and ice cream to go around. 6) A photo booth with a large assortment of costumes and accessories is available for families to capture the fun of the day. A photo is a great keepsake of the Buddy Walk. 7) Word has it too that Disney characters such as Elsa, Ariel, Belle, minions, and several Star Wars Storm Troopers will be walking around the grounds visiting with our families. Kids love getting their pictures taken with their favorite TV character. At last year’s Buddy Walk, we had well over 500 participants, and BUDS hopes for an even bigger crowd each additional year. So please mark your calendars now and spread the word to support not only our organization but all the families in North Alabama who have been touched by Down syndrome. Also, if you would like to volunteer to help make our next Rocket City Buddy Walk a success, please email us and our Volunteer Committee Chairperson will contact you soon. Thank you so much! CONTACT: Buds@budsonline.org for additional information.